Protein Shakes have been a go to breakfast or mid day snack item in our house for as long as I can remember. It's great for days when Colt or the kids might try to sneak out of the house in a hurry without eating, and I find it guarantee's I'm consuming enough protein in my day, which sometimes is hard to do. 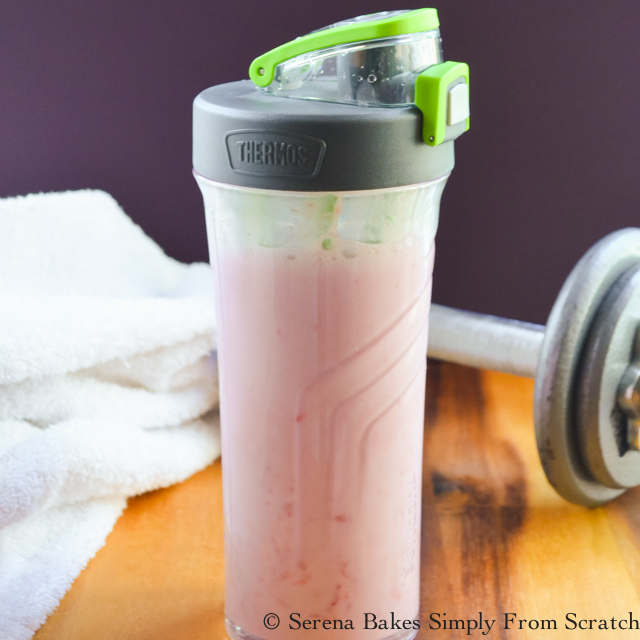 Strawberries and Cream Protein Shake happens to be a family favorite at the moment! 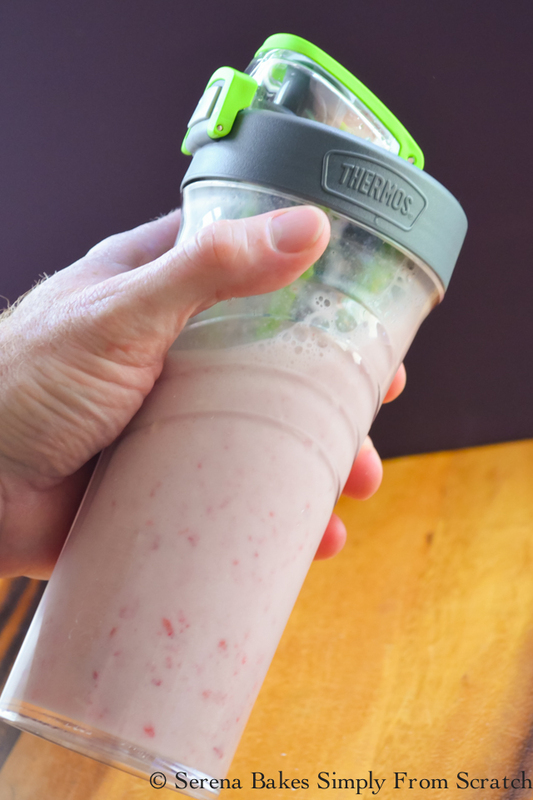 It's super easy to make and doesn't require a blender when using a Genuine Thermos® Brand #ShakerBottle. It makes a great option on busy mornings with back to school quickly approaching, and perfect for an after workout recovery snack! 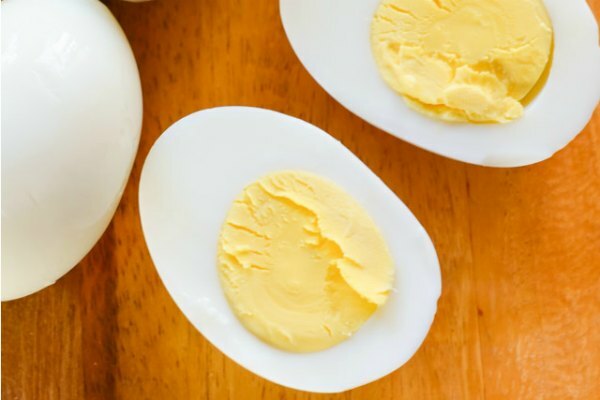 I find it an easy way to up my family's protein even when we are on the go! 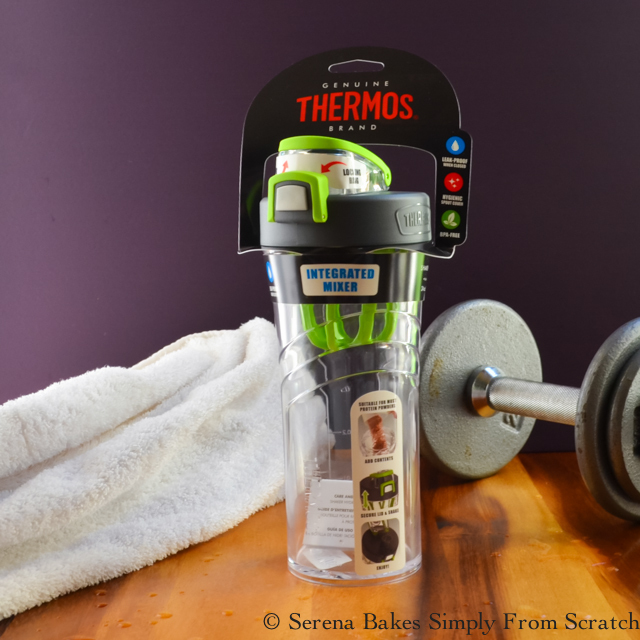 I was excited to receive a Genuine Thermos® Brand #ShakerBottle for review, I've tried a few shaker bottles over the years, but non were as easy to clean as this one. Everything about it was made for easy to clean up. The integrated mixer is designed in such a way it's super easy to clean even when adding additional flavors to your protein shake like bits of strawberry, and breaks up the protein perfectly. It's constructed of durable plastic which is BPA-Free, and the lid snaps down tightly to prevent a mess while shaking. The lid also has an integrated carrying loop making it easy to grab on the go! Currently Thermos® Brand is having a promotion to Giveaway a Shaker Bottle on their Facebook Page, make sure to stop by to enter to win! 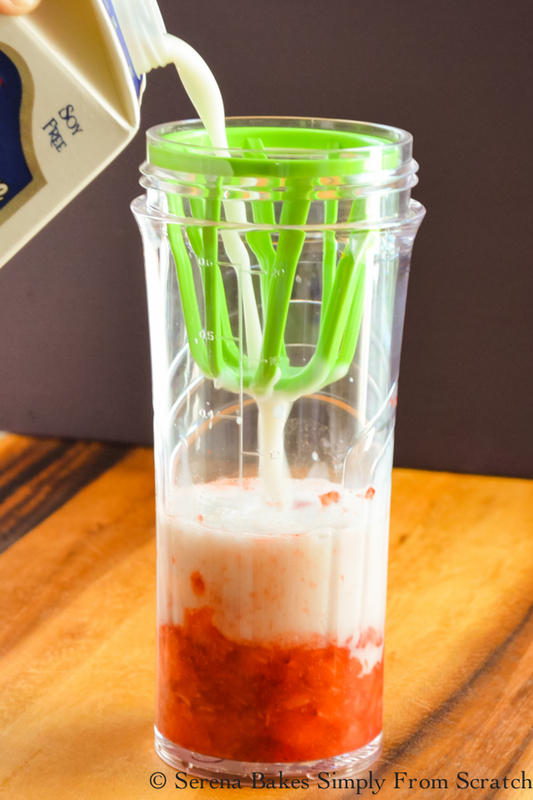 Strawberries and Cream Protein Shake starts off with muddling 6 chopped Strawberries in the bottom of the Thermos® Brand Protein Shaker. A muddler works great if you have one, but the handle of a wooden spoon or fork is also perfect to break up the strawberries in tiny bits! For a Raspberries and Cream Protein Shake substitute with Raspberries to a little over the 4 ounce mark. Add Almond Milk or other favorite milk product (dairy free or regular milk) until the 16 ounce mark. Add a scoop of your favorite Vanilla Protein Powder and shake that sucker like a Polaroid Picture! It really doesn't take more then about 30-45 seconds with the integrated mixer to have a creamy Strawberries and Cream Protein Shake. Enjoy as a grab and go breakfast, mid day snack, or perfect after workout recovery! It's definitely yummy! I also love this bottle for making creamy dressings, the Integrated Whisk Mixer works great for incorporating the oil and vinegar! Would you love to win your own Shaker Bottle? Thermos Brand is hosting a giveaway on the Thermos Facebook Page for 10 randomly selected winners! You can find more information on Genuine Thermos® Brand on Facebook, Twitter, Instagram, and Pinterest! 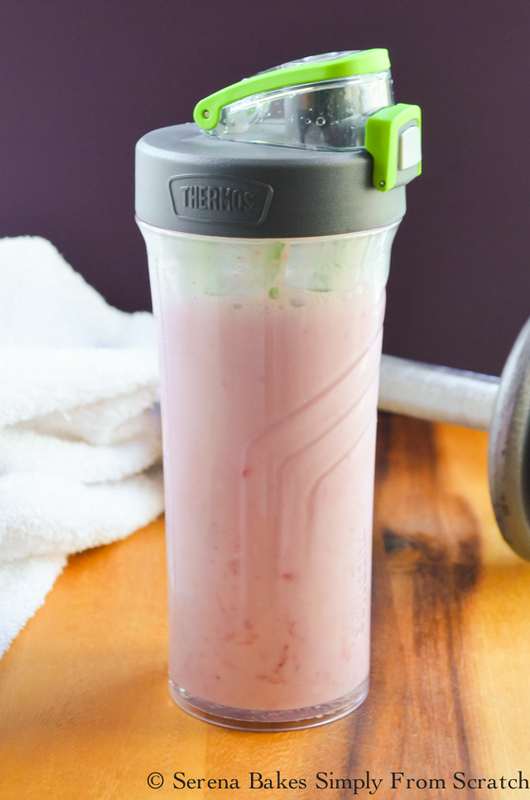 Strawberries and Cream Protein Shake. 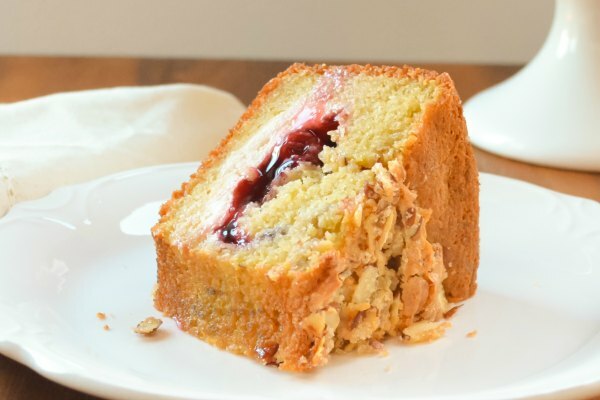 An easy to make breakfast on the go or perfect for after workout recovery! 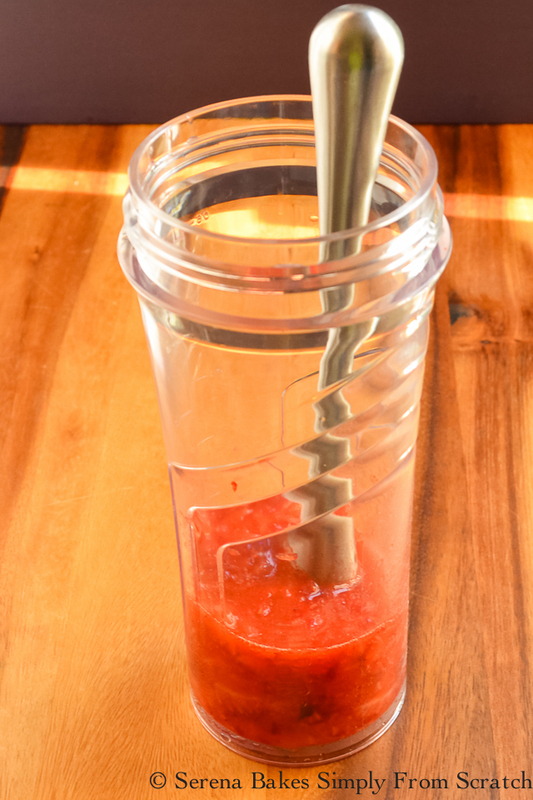 In a Thermos® Brand Shaker Bottle add Strawberries and mash until smooth. A muddler works great for this but the handle of a wooden spoon or fork will also work. Add integrated mixer and fill with milk until the 16 ounce mark. Add scoop or protein powder and shake until well combined. This strawberry smoothie looks healthy and delicious! I like that Thermos shaker, too. 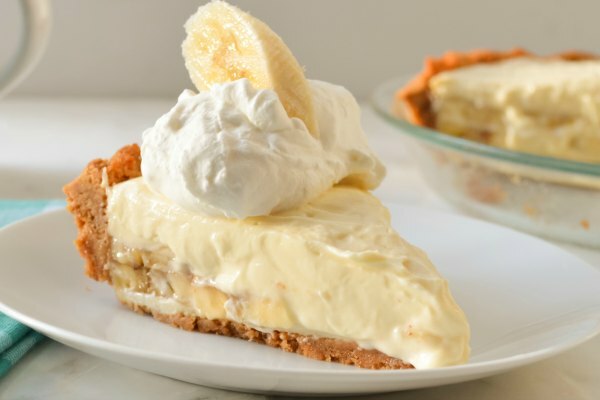 Thanks for this fantastic recipe and for that giveaway! Awesome shaker bottle! !